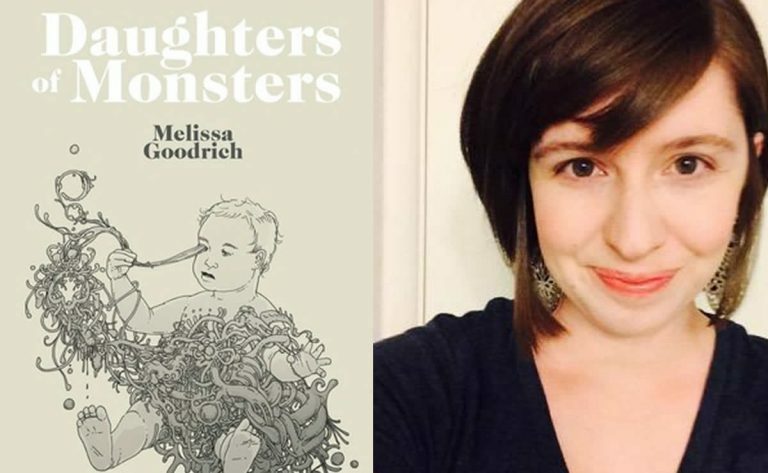 Recently we had the chance to read and devour Melissa Goodrich’s Daughters of Monsters. You can click here to check out our full review, but the overall consensus was extremely positive. So much so, that we wanted to look into her brain to see how her mind works in creating such a great book. Luckily, she obliged. Check out what she had to say, and take in all her fantastic advice. Who or what inspired you to write Daughters of Monsters? This is embarrassing. Somewhere in the process of piecing the collection together I realized: these are break-up stories. And put-back-together stories. This is the chronology of heartache. Of leaving, of pining, of the heartquakes and stupid loneliness and the sluggish healing-over process. The oldest story in this collection is “For Good.” I wrote it the same March I broke off an engagement. I was twenty. And it was hard writing the sentence “Because I want him to stay” because at the time I kind of meant it. Fiction was a way of walking that relationship out of my life. And Fiction was a way to put heartache in context, to give it a body and hands, to give it superpowers or satellites to repair or a ghost to trail it home. And soon, Fiction became a way to “get over” and get better. I became healthier. And I didn’t want my characters to just broil themselves in malcontent, but to find hopefulness, or humor, or a different kind of love. By the end of writing, I found I was into “hopefuller” endings. Think of the end of The Grapes of Wrath, or The Handmaid’s Tale, or Lean on Pete. I love that feeling of pain usurped by hope, or relief, or love. The more stories I wrote, the more I felt it. What would you like people to learn from the collection? To trust-fall. To pay attention. Are there any stories in the book that you would have liked to develop into their own novels? I’m kind of scared of novels. I don’t know how anyone sits down thinking they’re starting the first of 200,000 sentences. But if I write a novel, I’d like to make it like Aimee Bender’s The Particular Sadness of Lemon Cake. Though I can’t begin to imagine what that looks like. What made you choose Daughters of Monsters as the title story? It sounded title-y! But more seriously, it’s kind of the anthem of this collection. Maybe a better word is “preoccupation.” What makes someone “monstrous,” sort of malformed, or incompatible, or broken? Are we who our parents are? Are they their parents? What do we do about these patterns we notice in our lives? What if we change in ways we weren’t expecting? Can we control it? What if we aren’t broken, after all? These questions are always on my mind. In “Daughters,” the monsters don’t know they’re monsters. But when they do realize it, when they look hard-on at themselves in the mirror, it’s okay. It isn’t evil or detestable or wrong – just is. I wish for such point blank acceptance all the time. Several of the tales involve forms of reincarnation/ shape-shifting. Is this something you believe in or was it more just a fun idea to write about? There’s something ancient about transformation, right? A rib turned woman, a worm grew wings. Think evolution. Or snakes shedding themselves. Even the swinging-doors of seasons, of being born. It’s crazy weird what bodies do. In fairy tales, magic makes and unmakes you. I watched all the incarnations of Rogers and Hammerstein’s Cinderella, all the gold-gilt swirls, the kitchen mice, the pumpkin patch – I was spellbound by how being good could grant you a wish, and that wish transformed everything. So yes, this is something I believe in. People change. Things change. We don’t shift into birds or heads of cabbage or enormous apes or oranges – not on the outside we don’t. Why did you decide to write from a middle ground between fantasy and reality? Magical realism – fabulism – is my favorite genre. It is the best ground. It is so fruitful to be able to write “They eat spicy Cheetos and Ramen noodles, have the kind of beautiful faces that crack rearview mirrors,” because Fabulism is permission to write it how it feels, not just how it is. It’s much better than writing “They were intimidating” or “They were teenagers” or “What can I say?” What I can say is anything. Did you let the stories build and gather before you wrote them down or were they typed as soon as each idea hit you? I like writing right away. I like to start stories from the beginning. Catherine Dent, one of my fabulous teachers from Susquehanna, once challenged me to just sit down and write a story, beginning to end (instead of, say, stopping at the end of a beautiful paragraph). That advice has really become my writing style – I prefer to sit, start, keep going, pushing through the fiction like I am pushing up for air. And I don’t always finish on the first go. But what is on the page preoccupies me. Bubbles to the surface when I’m dreaming. I think about what trouble I can send into the story. And that trouble is usually magic. Aside from writing and literature, what interests you? I love board games! And puzzles! And recently I’ve been obsessed with doodling over these make-your-own puzzles I found on Amazon. I love the sounds a piano makes. And I’m working on building a kingdom of Holland lops. Where do you see your writing going in the future? 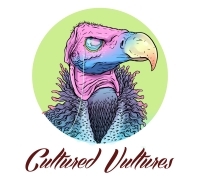 I’m working on a couple thematic collaborations at the moment, a collection of magically-real school stories (a floating away school, a gorilla in the classroom, students who migrate with the seasons) with my amazing writing friend Dana Diehl, and a collection of “Fallen Gods” stories with the incomparable Mariah Young. It’s great fun. I’m really lucky to work with them. Is writing more of a blessing or a curse? God. Both. I usually think I’m not writing enough. I’m haunted by those people who write every day, and run ten miles, and read new books and journals, and eat organically nurtured produce…I’m still a cereal-eater, a sleeper-inner, a person who writes slowly and then binge-watches TV. But the blessing is I trust my voice now. And I trust that writing should be joyous and surprising, and that none of it is wasteful. And lastly, what is the most valuable thing you learned during the creation of Daughters of Monsters? I learned that pain is a means, and so is getting better. That it’s okay to not know what your character wants right away, to let them follow their own instincts. That sometimes a story takes years of revising (like sometimes…five). And I learned I liked happy(er) endings. Not easy ones. But ones that tilt upward, that catch the sun.